Baptism (some people use the term 'Christening' - it's the same thing) is a public declaration of commitment to following Christ and being part of his church. Baptism is a way of welcoming someone into the church, and marking the beginning of their journey of faith. If you are interested in having your child baptised at St Mary's, we would love to explore that with you. 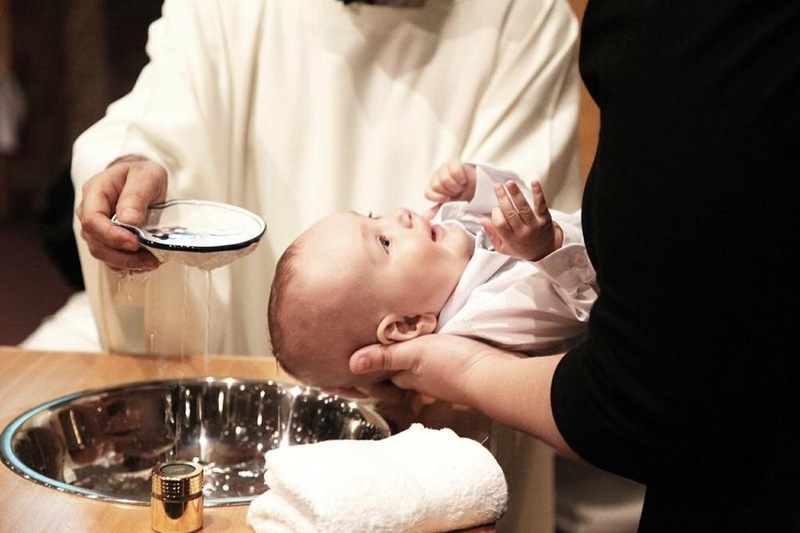 The baptism of a child is a very significant social event for many families. It's also an important occasion for the church. Baptisms take place during our Sunday morning services, so that the congregation can welcome and promise to support the child in their journey of faith. Come along to a Service on two Sundays – to make sure you are happy about us! After that, contact the minister to arrange for a visit to your home so we can talk things through in more detail, and agree a date. We look forward to marking this special event with you!